The holidays are all about family, friends, fun and food - but sometimes it's easy to forget about holiday safety for your dog. We all want our dogs to be part of the celebration, but there are some important guidelines to follow. 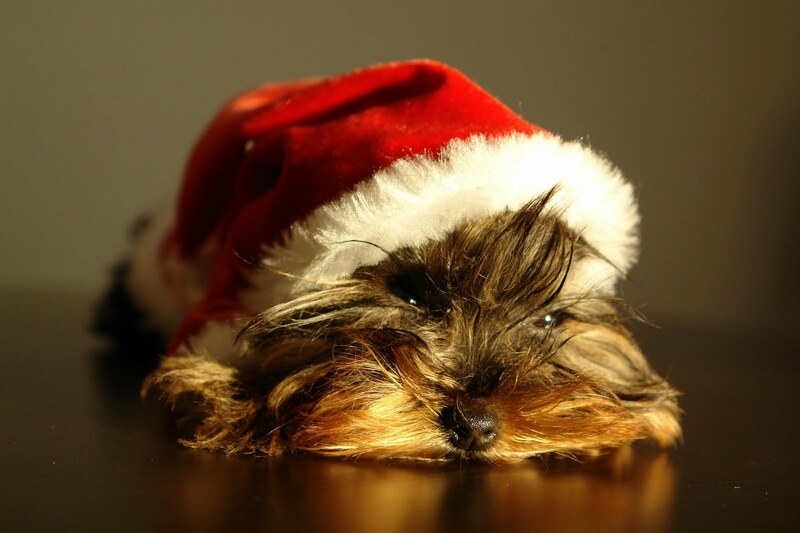 Keep your dog safe this holiday season - no one wants their holiday celebration to end up at the veterinary emergency clinic! There are some human foods that are okay for dogs, so if you want to give Max or Maggie a special treat you have some options. Try a small piece of cooked turkey or chicken without skin or bones (and hold the gravy). Raw carrots and apples in moderate amounts are actually healthy for dogs. Just remember - everything in moderation. Watch the holiday decorations! Most dogs are curious by nature, so they will want to check out any additions to the decor. Sniffing can lead to chewing, or even ingestion of foreign objects. Keep electrical cords tucked away and other decorations or holiday plants out of reach. Watch out for dangling objects that can be pulled down and cause injury. Candles should never be left unattended. Also, if you have a Christmas tree, don't let your dog drink the tree water - it can make her sick. Don't let your dog get lost in the shuffle. Holiday parties and gatherings can mean lots of commotion. This might be fun for you, but not for your dog. Lots of people in your home can result in injury or stress for your dog. A large crowd is not the place for most dogs, so consider keeping her in a crate or quiet room - especially if she is the nervous type. If she is comfortable around a smaller group, just make sure you set down the ground rules with your company: don't feed the dog and keep the doors closed! Many pets get loose and run off during the holiday season. Though your dog should always wear a collar with current identification, this is especially important during the holiday season. Sadly, many dogs run off and become lost during the holiday season. don't let yours be one of them. 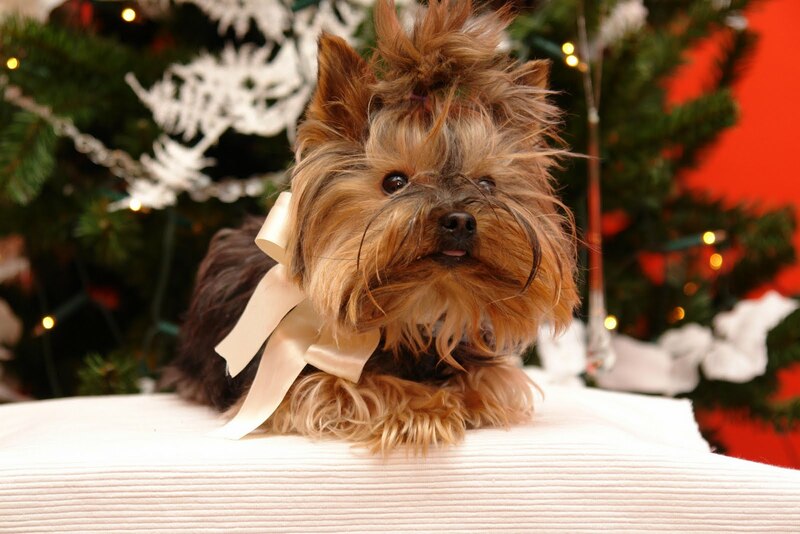 You and your dog can still enjoy the holiday season. Be sure to watch for any signs of illness and keep the vet's number handy. Stay safe and have fun. Happy Holidays!